Traditionally the delivery of video to mobile devices was often problematic. This was especially so due to the fact that one of the most common video delivery methods (Flash) did not work on many modern mobile devices – in particular Apple branded mobiles. The advent of HTML5 and the video element has changed this completely, making the delivery of video to modern devices seamless, easy to implement and also easy to cater for a much wider range of devices whilst keeping a consistent user experience throughout. HTML5 video is a native element of HTML5 and works out of the box on most modern browsers. 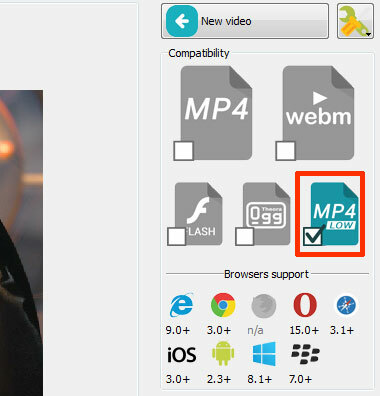 HTML5 video for mobile devices is also a native solution provided by the HTML5 mark-up language. However, there are some crucial things to consider when planning the delivery of video for mobile and tablet devices. The key considerations are size and encoding which both play an important part in terms of device compatibility and user experience. To ensure that your users all have the same experience when watching HTML5 videos from their mobile devices it is important to convert the video files into the appropriate format. As a general rule, even though you may get videos from many different sources, it is good practice to have them all encoded into one or more standardised formats that have been testing on your website before hand – this ensures that all of your videos will work in the same way and your website users will get a consistent experience. EasyHTML5Video is a great mobile html video converter that will help you to achieve this.